Our first profile of Howell Trophy contenders for the 2015-16 hoops season is Valley guard Marcus Romain. 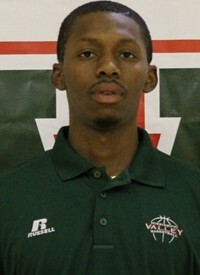 Romain comes to the Valley from Brooklyn, NY via East LA Community College. Talk about culture shock! While the Delta Devils are off to a slow start, trudging through the typical laundry list of guarantee games that SWAC schools so often contend with, Romain has given coaches and fans hope for what is to come when conference play starts in January. The 6'2" guard is averaging 16.3 points per game to start the season, shooting 46% from the field, very respectable for a guard. He's also reliable from the charity stripe, shooting 71%. Romain's first action of the season came against BYU in Valley's fifth game. He scored 9 points in 17 minutes. Since then, Romain's minutes have increased in each of the Devils' 5 games. He's scored in double-digits in each of those 5 games and topped the 20 point mark in games against Tennessee Tech and North Carolina Central. Devil fans will get their first glimpse of Marcus when Valley takes the floor of the Leflore County Civic Center in Greenwood on January 4th against SWAC opponent Arkansas-Pine Bluff. Until then, Romain will help the Devils toil away on the road, with games Saturday at Evansville in Indiana and next Tuesday in Chicago versus Northwestern. They play at North Texas next Thursday before a long layoff and a game at Hawaii on December 29. For more on the CSpire Howell Trophy, visit MSFame.com. 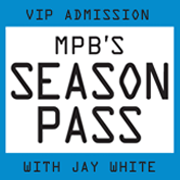 Listen to MPB's Season Pass, hosted by Sam Wells and Jay White, each Thursday morning at 10 on MPB Think Radio. MPB's Season Pass: The Bowls are Coming!